The LeaderShape Institute is an intensive experience that creates a community and challenges participants to lead with integrity while working towards a vision grounded in their deepest values. 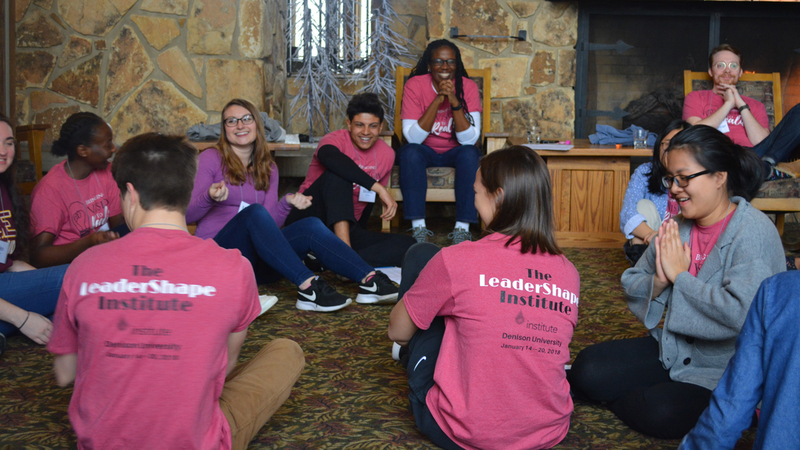 The LeaderShape Institute weaves together concepts of community, inclusive leadership, vision, and integrity to help participants explore not only what they want to do, but who they want to be. Dynamic, challenging, and exciting, the week is intended to produce a breakthrough in the leadership capacity of participants — benefiting them individually, as well as their respective communities and the organizations they will go on to lead and serve in the future. The LeaderShape Institute is the flagship program of LeaderShape, Inc. and is widely recognized as the premier leadership program for young adults in the nation. The LeaderShape Institute is a 6-day, living-learning experience; it is an exhilarating and exhausting experience. It is an Institute, and not a conference, meaning every participant and facilitator goes through all of the same sessions and programs together. To learn more about LeaderShape, Inc. visit the official LeaderShape site. How do I apply to participate in The LeaderShape Institute? What kind of sessions are included? There are early mornings (8:30 a.m.) as well as late nights (11 p.m.) of games and bonding with fellow participants. Specifics of the program include a team challenge course (half-day, low-ropes team-building experience), an evening with a Guest Leader Forum in which participants are exposed to “real world” role models, quality facilitators from a variety of backgrounds, and interactive small group meetings. When is The LeaderShape Institute and where is it located? The LeaderShape Institute will be held January 13-19, 2019 at Salt Fork Resort. Participants must be available for the entirety of the Institute. Students will receive University transportation to and from Salt Fork State Park from the Denison University campus. Who should apply for The LeaderShape Institute? Anyone interested in leadership should apply. We are looking for students from a variety of backgrounds, with a variety of leadership experiences, and at a variety of ages. LeaderShape is open to any student interested in producing extraordinary results in a community while also developing a commitment to lead with integrity. Applicants will be notified of their status by October 22nd. Participants selected will attend a mandatory orientation on December 6th to get more information and to meet their fellow participants. Also, LeaderShape is a substance-free program. All participants will be asked to adhere to that standard. The LeaderShape Institute is FREE to all students who are selected and attend the program. Meals, transportation and overnight accommodations are all included, free of charge. Participants will be asked to submit a Commitment Form signifying their commitment to attend. Should a student that submits this form fail to do so, his/her student account will be charged $150. Want to know more? Join us on September 26th at 3rd Slayter for an interest meeting.